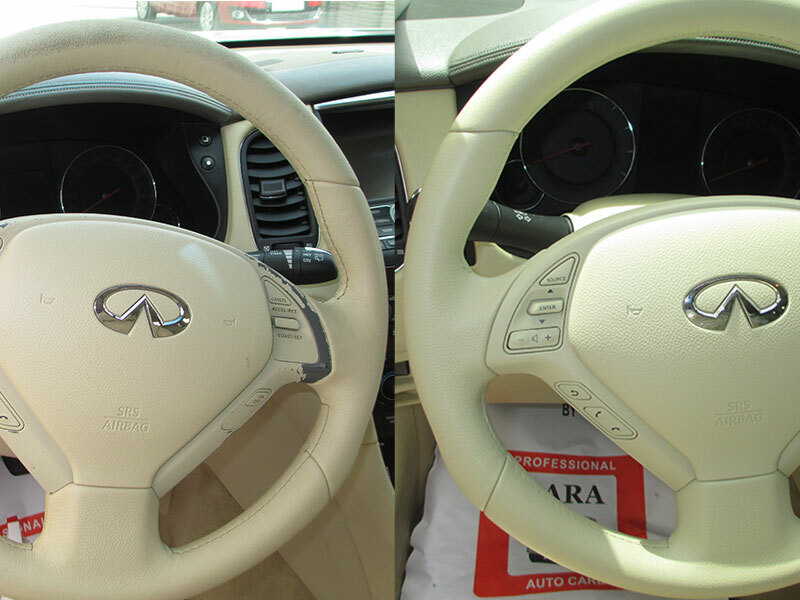 Constant exposure to direct sunlight, excessive heat, dirt and body sweat cause harm to the leather interiors of the car and steal the dazzle the car. 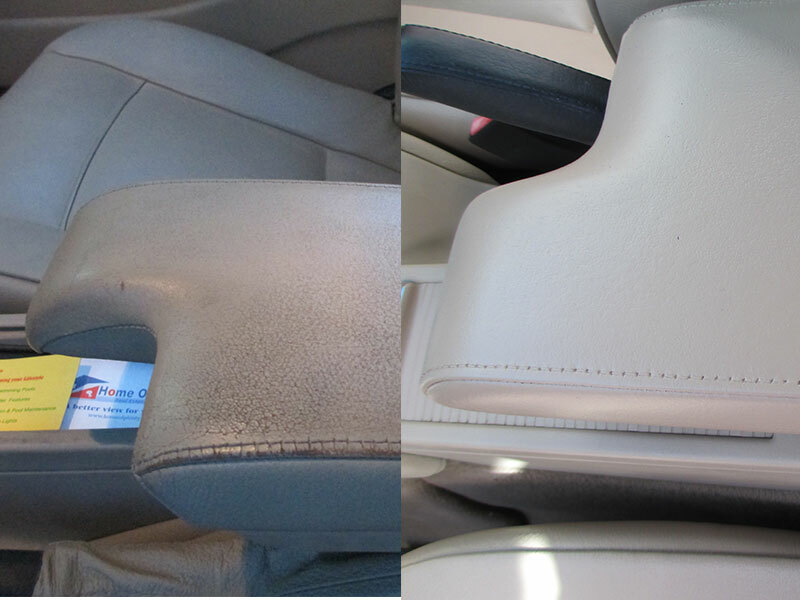 The leather doctor can make your car seats and interiors look like new with its specialized service and materials. We mend stains, scratches, and tears using safe and tested chemicals and techniques honed over years of experience with leather and vinyl. You can bring your car to our custom-built workshop and we guarantee you complete satisfaction. Aircrafts operate under ideal temperature with zero exposure to nature's harsh elements. However they are not immune to spills, natural wear and tear and do need to be refurbished to stay good. Consumers’ tastes change and the colour may get boring after a while. The Leather Doctor has a dedicated team that specializes in maintaining and refurbishing aircraft interiors including, cabin seats, panels, and flooring. We, at Leather doctor, can offer the service either at our workshop or in your hangar depending on where it is more feasible. 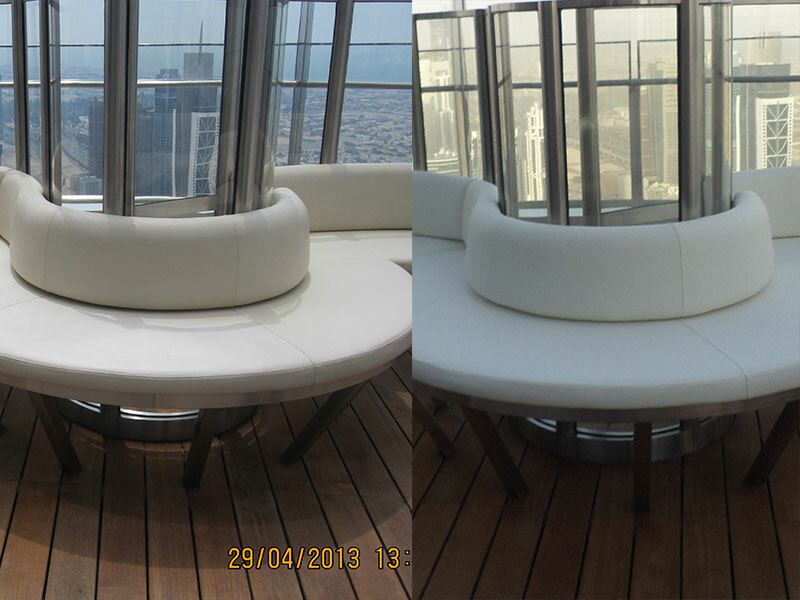 Yacht interiors and decks are exposed to the harshest of weather conditions. The elements of sun, wind, and the salty sea form a lethal combination that can lead to rapid deterioration of leather interiors. Leather Doctor combines technology and the best service to refurbish and restore the yacht interiors to its original glory. 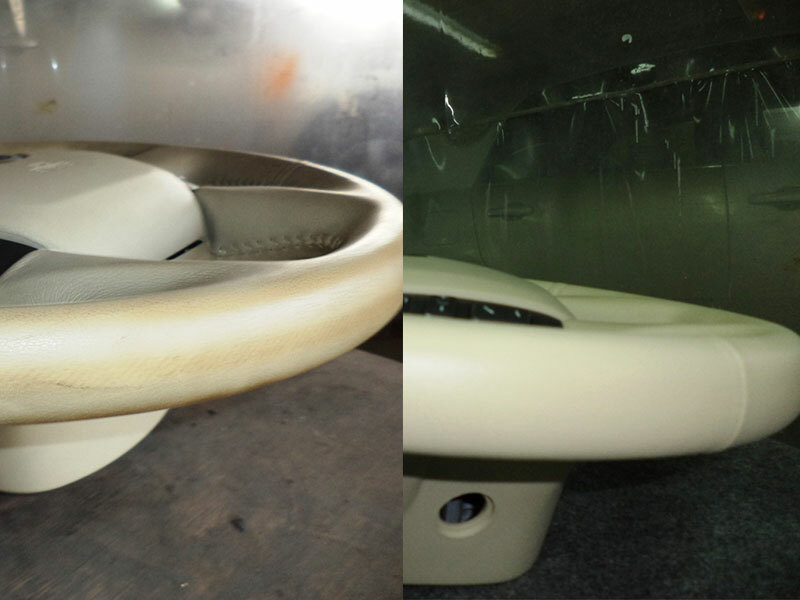 We repair and re-dye tears and scratches on leather seats and interiors, making the yacht look sparkling new. 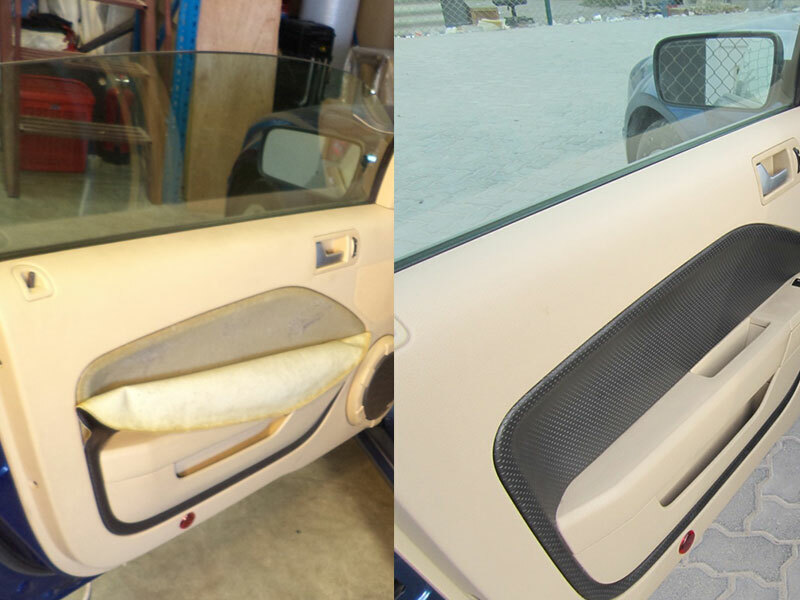 "I want to get rid of screw holes in my dash/console"
Looking to sell your car? It looks great all over…except for those irritating little holes where your phone holder used to sit. One quick call to The Leather Doctor to repair the holes and it could be the difference between a quick sale of your car or yet another I’ll think about it. 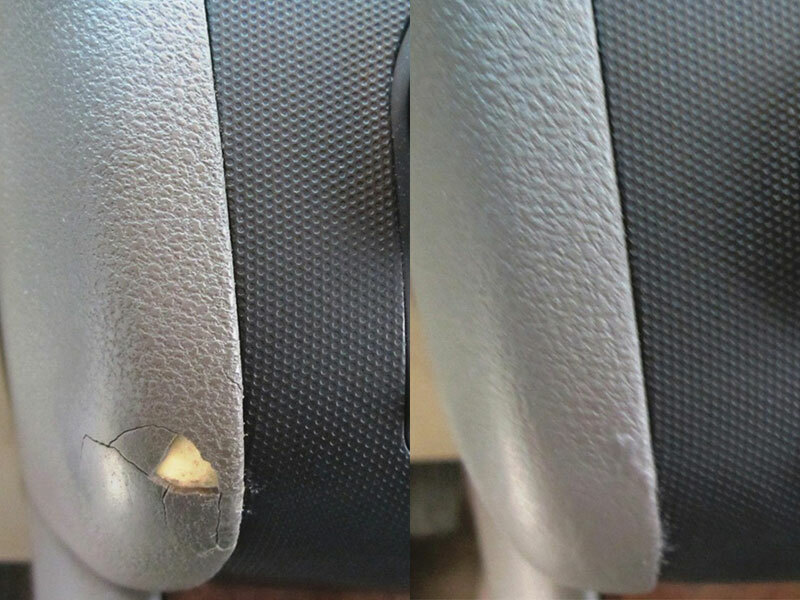 "I need to repair the crack in my dash"
If your precious car dash has a crack or there is a mark/stain on the leather of the door or dash, let it not bother you anymore. Our technician could be there in no time for an obligation-free survey and estimation. 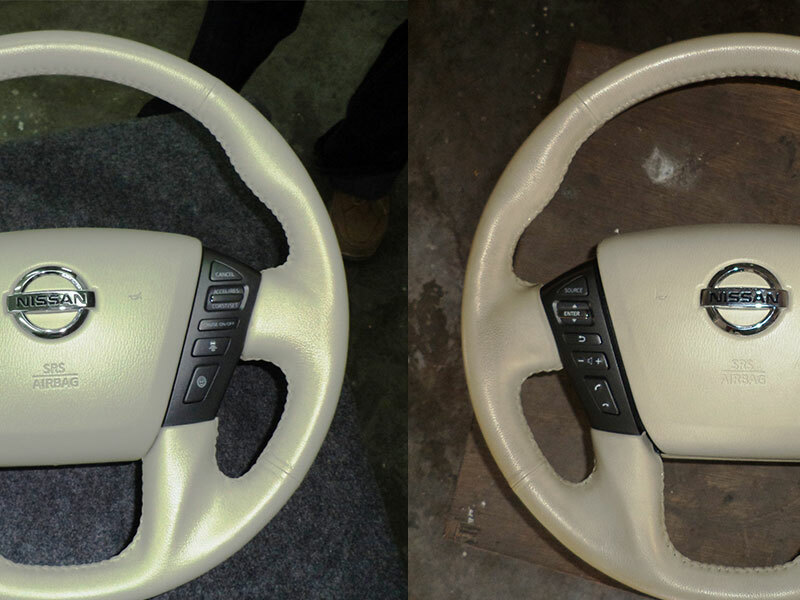 "My steering wheel cover is loose"
A loose cover on your steering wheel could be dangerous. 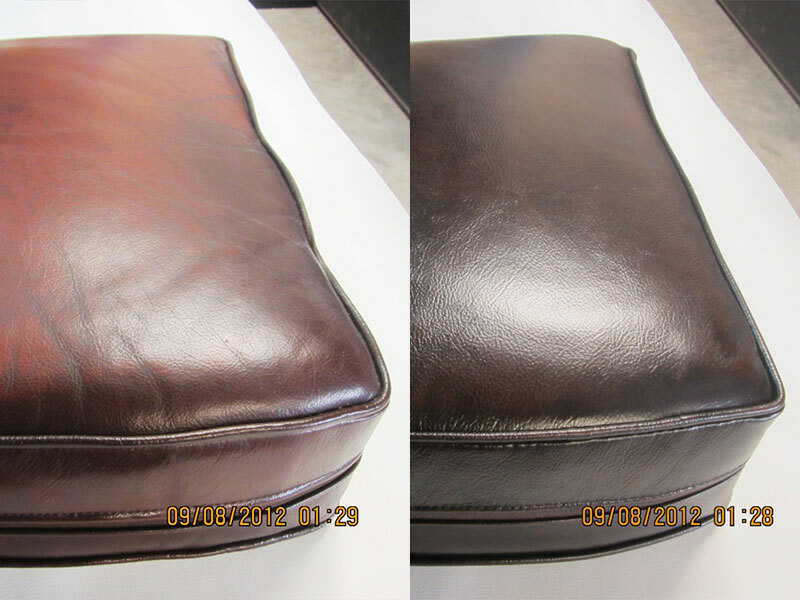 Trust Leather Doctor to fix the problem permanently in as little as 30 minutes. Simple, cost-effective and quick. 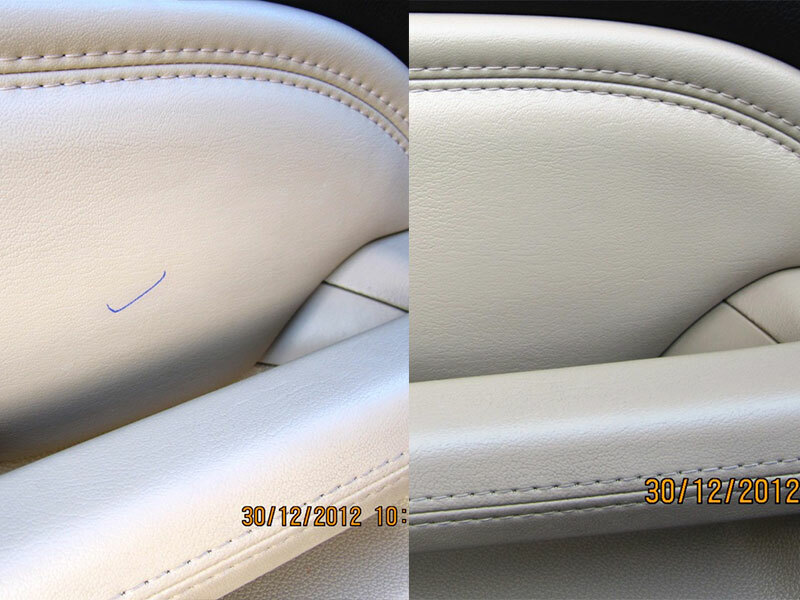 "I’ve got a cigarette burn in my seat"
You thought you flicked it out... but it came back in and its journey has made a lasting, and unsightly, impression on your leather upholstery. 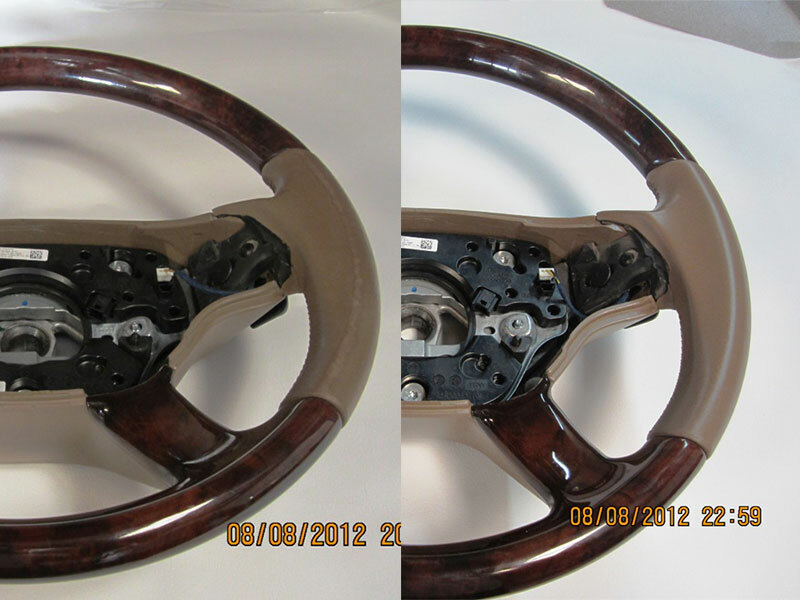 Our unique repair process mends the damages leaving the signs of repair almost invisible. "There is a rip in my caravan floor or awning "
Vinyl floors can get scratched or torn from time to time but there is no need to get the entire floor replaced. We can repair tears in vinyl floors, awnings and other items to have your caravaon looking its best. General wear and tear are quite common. 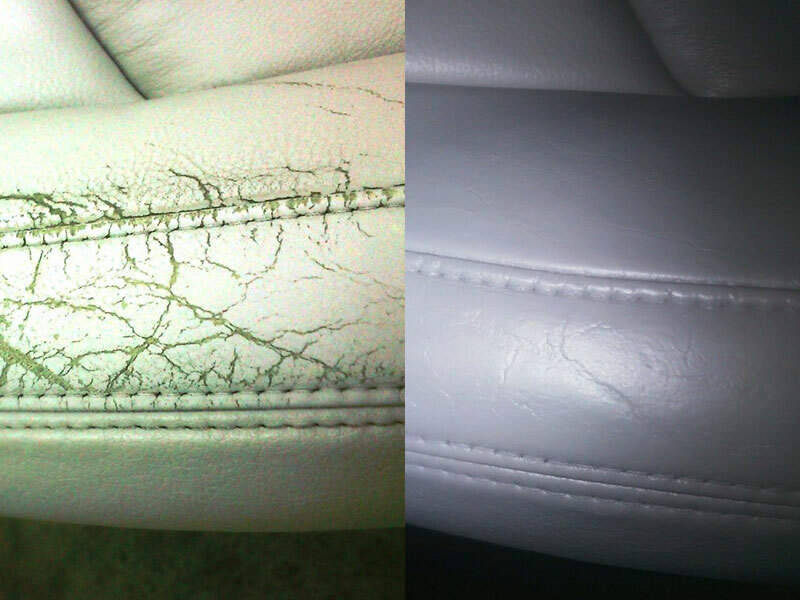 From a pen mark to a small tear; From Colour wear to scuffs and scratches; The Leather Doctor can repair just about any type of damage on your leather seats or vinyl console and dashboard. 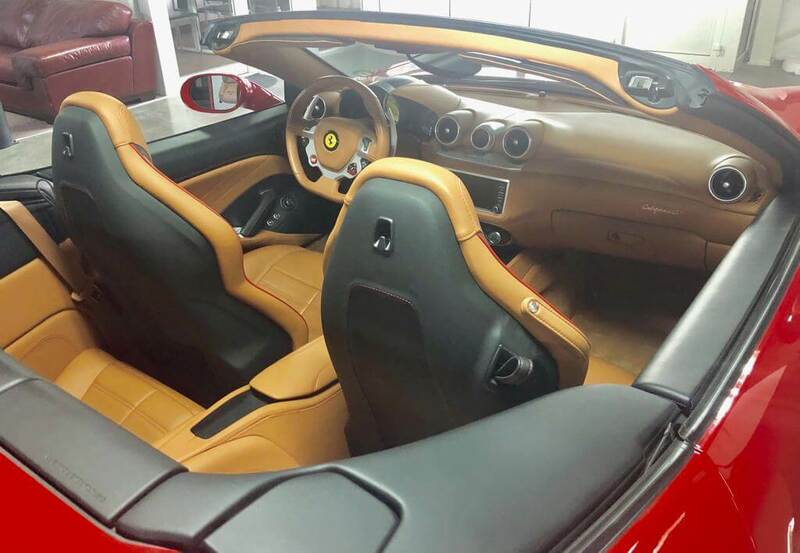 Your car’s leather interior is subject to some of the harshest conditions. From direct sunlight and excessive heat to abrasive dirt and body sweats. 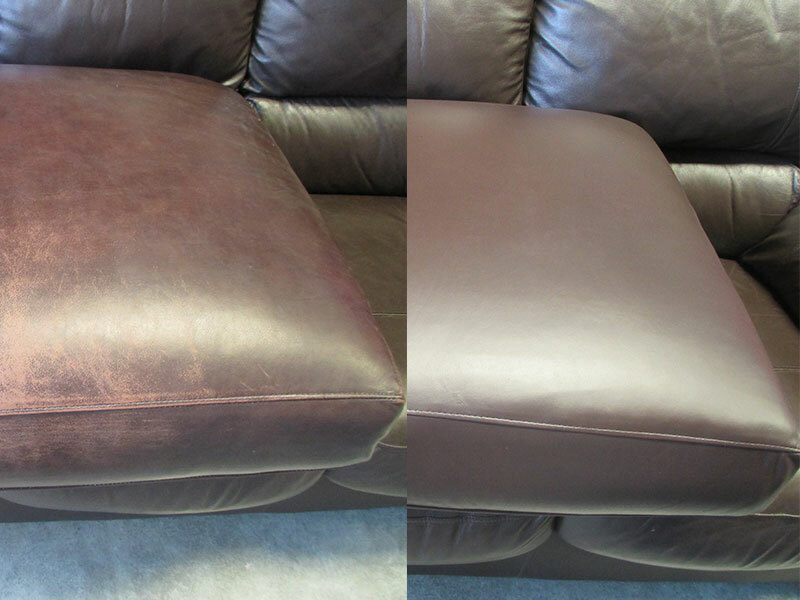 A professional cleaning and conditioning by the Leather Doctor and it will look as well as feel better. 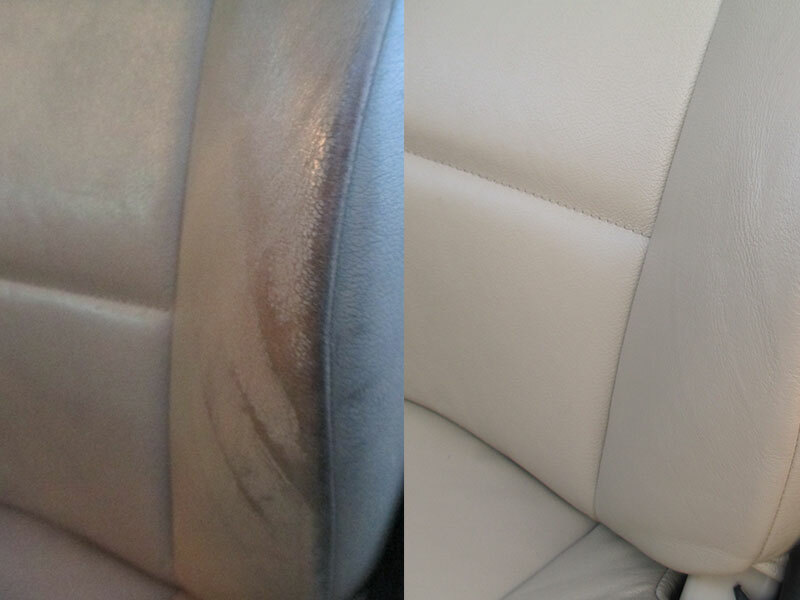 Whether it’s restoring your cracked and faded old leather interior or completely changing your car’s interior colour, Leather Doctor can help you with both. Check out the pictures at the base of the page to see some amazing examples of our work. How long will my recolour last? This will depend entirely on you and how you look after it. The more regularly you clean and condition it, the longer it will last. Generally though, our recolouring process should last as long as your original colour lasted. Will my colour come off on my clothes? No. 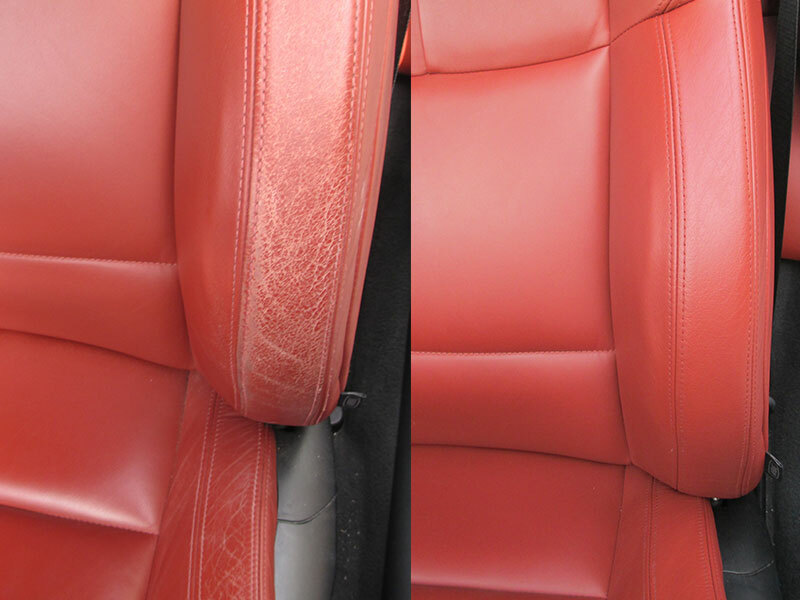 The recolouring process incorporates a special topcoat sealer just like the original colour on your car seats that prevents the colour from coming off or running. Am I limited in my choice of colours? Not at all, In fact the only limitation is your imagination. Yes. 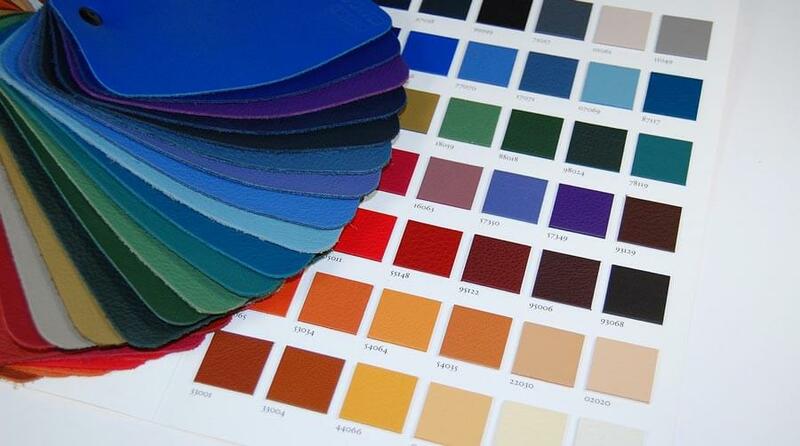 All our recolouring work comes with a full 12-month warranty against faulty workmanship and products. 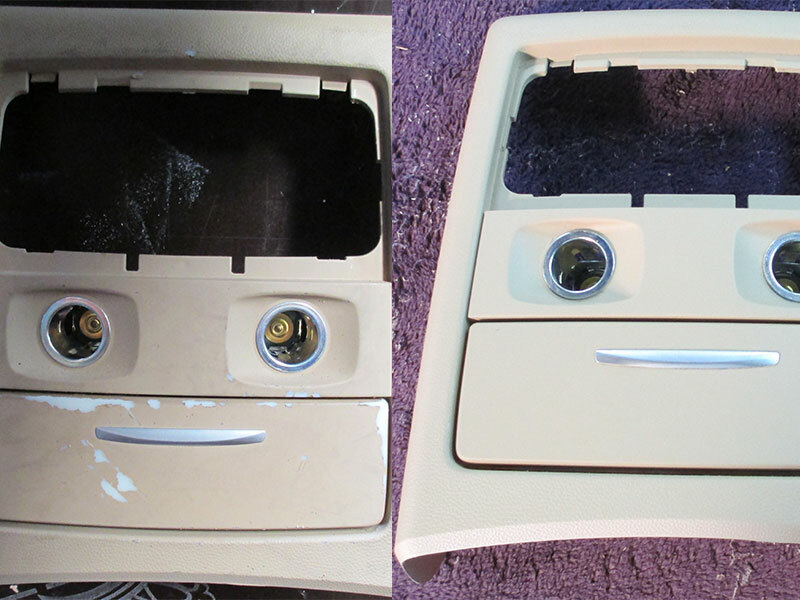 The average car interior can be completed in 2-3 days. Then it's ready to be driven away and enjoyed. 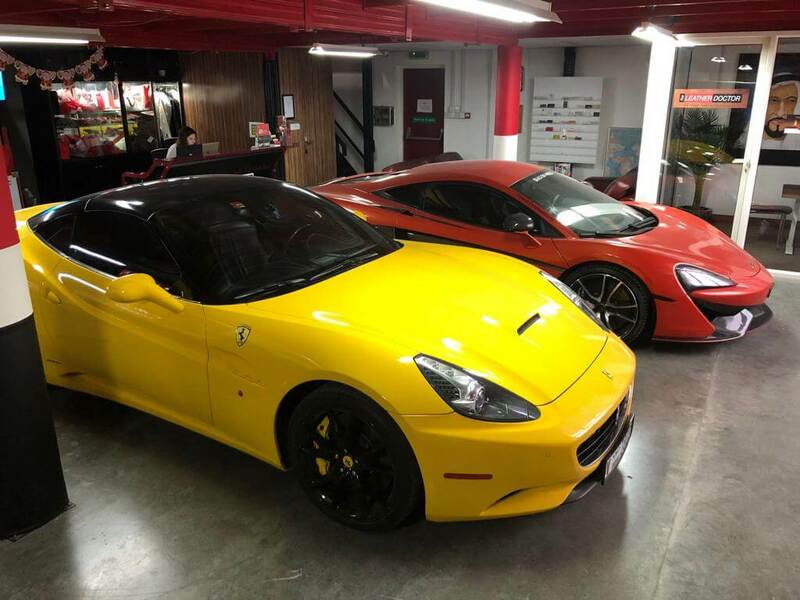 A Ferrari and a McLaren, what a lovely personal garage that would make! Deep leather cleaning, moisturizing, scratch and cut repairs are just some of the services we offer here at The Leather Doctor. Contact us for any leather care inquiries you have. We are delighted to be working with The Leather Doctor. The service has been courteous and professional at all the times and I have no hesitation in recommending them.